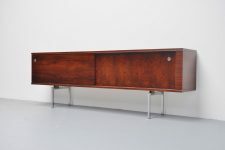 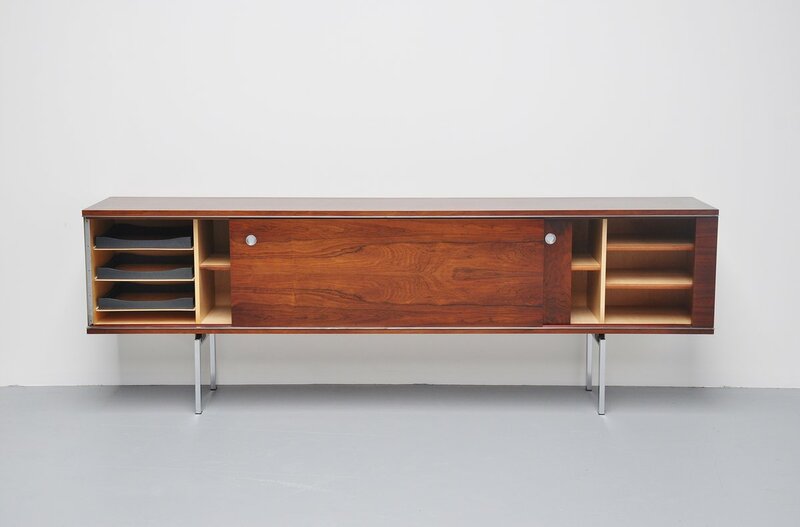 Very nice refined Belgian sideboard with metal details and chrome legs, made in Belgium Gent 1960. 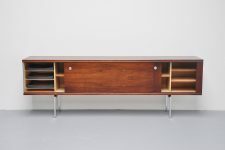 This slim sideboard has a very nice long size and 2 sliding doors with shelves and drawers behind, doors still slide perfectly smooth. 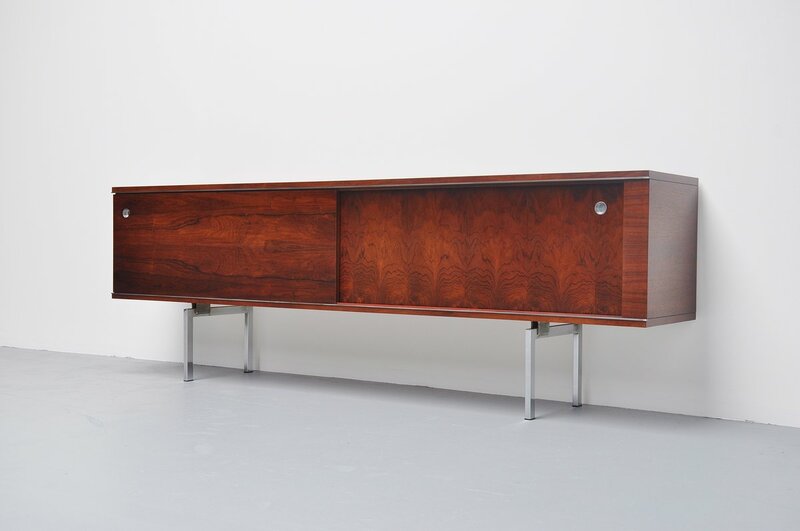 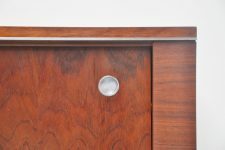 The sideboard comes from 1st owner and is in very pristine condition. 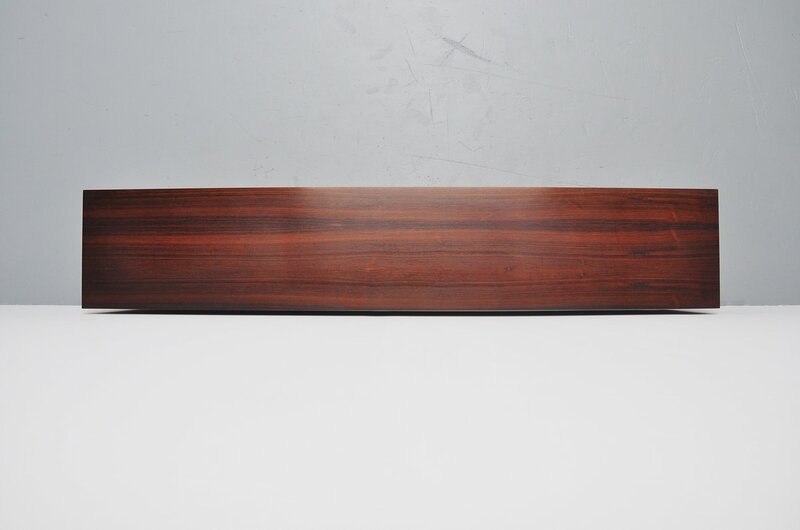 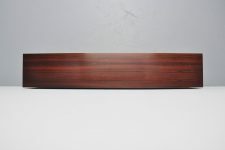 Nice grain to the rosewood. 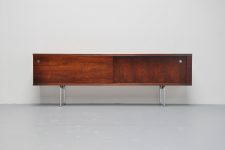 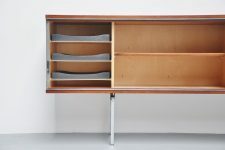 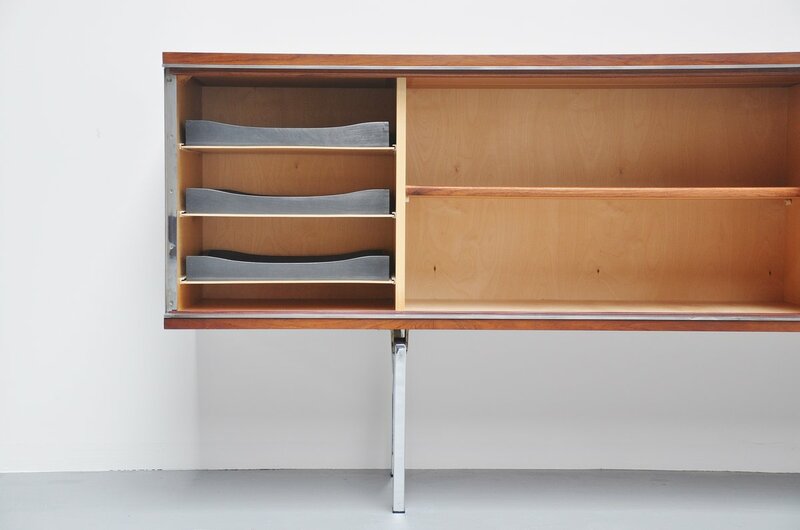 Nice modernist sideboard in excellent original condition.